Like the Gates Foundation, many companies are putting more resources into philanthropic work, and for good reason. Along with the warm feelings associated with altruism, business leaders contributing to the social good recognize that benefit philanthropy can provide for any company. Anne Eu, who heads Asia’s largest Chinese medicine company Eu Yan Sang, after her husband died 11 years ago, has set up various foundations and spearheads campaigns to help the less fortunate. When she discovered that only the passengers’ families of the missing Malaysian Airlines Flight 370 would be compensated and not the crew’s, she started the Flagbearer Education Foundation and pledged $120,000 to support their children’s education. The Eu Yan Sang Foundation was only established in 2010, but Eu Yan Sang International and Eu Yan Sang Hong Kong have through the years supported education, research, and various community projects in Hong Kong, Singapore, Malaysia and China. The Truly Loving Company is a social enterprise that uses a corporate profit model to build a brand to generate a long term, sustainable income for charities. The “TLC” brand produces mainly household cleaning products. While there are many socially responsible Malaysian companies that support charities by donating a certain percentage of their income or profits to charitable causes, TLC gives 100% of its dividends to charity. Aspiration is a financial firm that launched in 2014 with the promise of fostering trust and transparency with its clients. It made its waves by introducing a pay-as-you-wish model for its financial services, establishing a mutual fund that invests only in companies that advance sustainable practices, and pledging 10% of its revenue to charity. In 2017, Aspiration took a step toward helping people adjust their spending habits in accordance with their ethics. It even has its own AIM score, or Aspiration Impact Measurement, which the company uses to score consumer-facing companies, from Whole Foods to Walmart, based on how they treat their employees and the planet. Whenever an Aspiration customer makes a purchase, the “people” and “planet” score of wherever they bought from is rolled into a cumulative personal impact measurement. In a time when voting with your wallet is almost as powerful as voting at the ballot, Aspiration makes it easier for its customers to understand the impact of where they put their money—and to be more mindful as they make purchases. 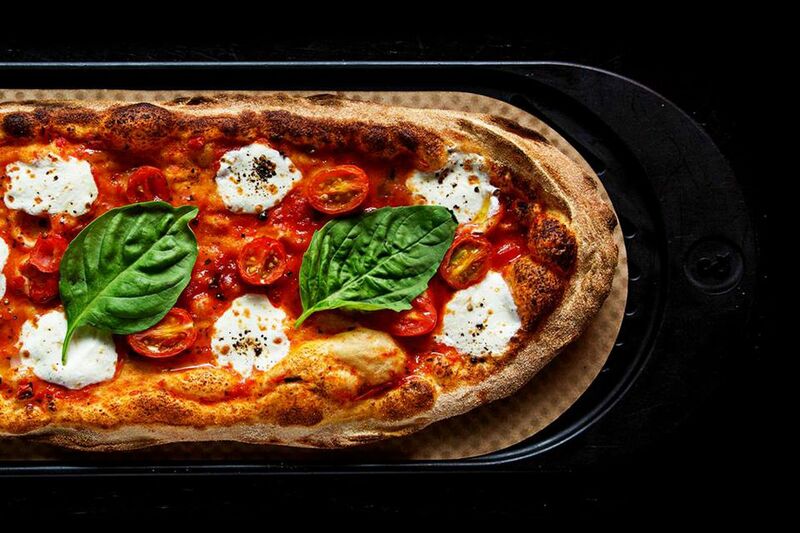 &pizza launched in 2012 in Washington, D.C., by Michael Lastoria, is by definition a chain—26 locations spread across D.C., New York, Maryland, Virginia, and Philadelphia—but no two stores are the same. Every time he opens a new shop, Lastoria works closely with the surrounding neighborhood to make sure everything about the location—from its décor to food collaborations—reflects the community. The thing that remains consistent across &pizza, though, is its commitment to equity. All employees, many of whom come from disadvantaged backgrounds and haven’t been afforded good career opportunities, are paid a living wage and provided healthcare; Lastoria himself has been a vocal supporter of the $15 minimum wage movement, going so far as to campaign for it on Capitol Hill. The approach is good ethics, but it’s also good business—many &pizza employees feel so local to the company that they get a tattoo of its signature ampersand. Where cause marketing once entailed fundraisers and galas, its evolution has led to more consumer-centric, event-based brand campaigns that don’t just advocate for causes, but actively support them through live experiences. Here are a few core benefits associated with having your company commit to social and community work. Committing a business to making a social impact creates a vision for the company beyond turning a profit. This helps re-energize a business leader’s drive due to having emotionally fulfilling projects on the docket. That renewed passion can then manifest itself in business leaders’ work and vision, driving innovation and eventual growth. As you carve out what your brand stands for and ought to represent to consumers, social good works to add another layer of depth and personal connection for that narrative. Developing an authentic and socially conscious brand story will help set you apart from your competition. Employees who believe in their organization’s mission and projects will invest more into their work. By setting up philanthropic projects in which employees can participate, business leaders can inspire workers and establish some passion among them. Much like how social giving can drive the creativity of business leaders, it can also spark innovation among office workers. An inspired employee is often more productive than an unfulfilled one. Many believe that for-profit businesses hold unwritten social contracts with their communities. If a company helps a community in some way, that community will often support the company in return. It’s important to be sincere – we can smell false philanthropy from a mile away – but targeted, authentic community projects can help build mutually-beneficial relationships with target markets. To attract the coveted Gen Z demographic, for instance, many companies are establishing corporate scholarships. One major characteristic of people in these demographics is their skyrocketing levels of debt – an area in which corporations can flex their philanthropic muscles and enter target markets at the same time. For companies trying to increase revenues and establish a positive brand image, contributing to philanthropy is near-vital. By creating and maintaining authentic initiatives, doing social good can do your company good, as well.